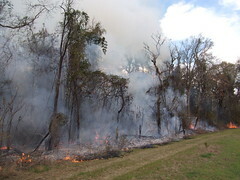 Prescribed burn of some piney woods at Okra Paradise Farms, Lowndes County, Georgia. 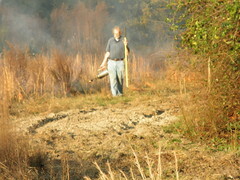 Pictures and videos by John S. Quarterman and Gretchen Quarterman, 31 January 2012. Fortunately these vines were mostly in invasive exotics anyway (chinaberry, mimosa, Japanese privet) that had grown up along the field edge. After a few minutes, here's the result. 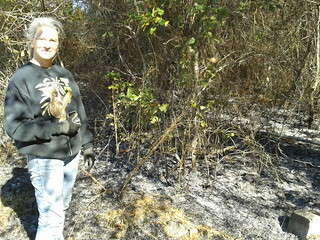 Most of the rest of the woods burned much more evenly, with flames only a foot or two above the ground. 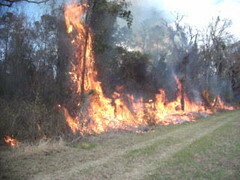 Every few years it's good to burn the woods! 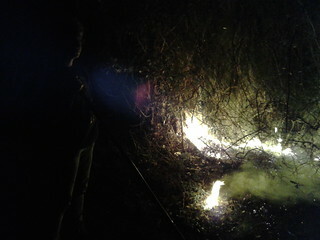 If you don't burn piney woods, they turn into oak woods. 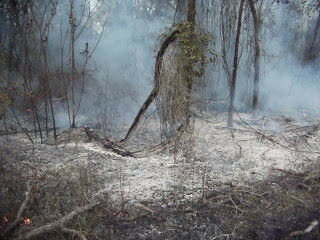 Burning cuts down on the small oaks, vines, and undergrowth, puts potash in the soil, and lets the pines come up. 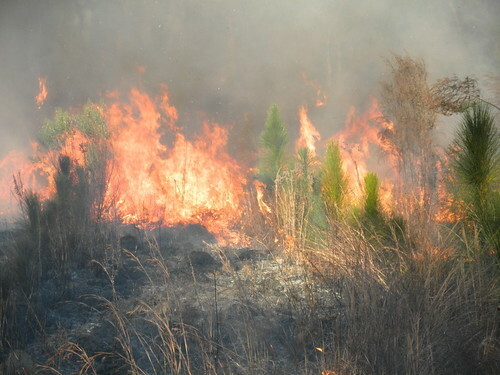 Longleaf especially benefits from burning, since it survives burns especially well, and it only sprouts if its seeds land on bare mineral soil (not leaf litter or vine buildup). 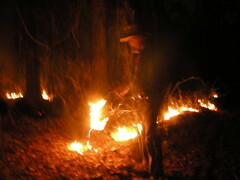 I lit these woods 20 February 2008. 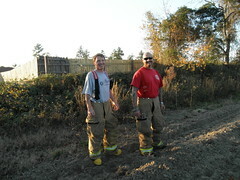 Pictures by Gretchen.